Meizu M6S was expected to launch in China next week, but latest reports say the developers are having issues with its camera and will postpone the launch until 2018. It will be the first of six new Meizu smartphones being prepared for launch between January and June 2018. 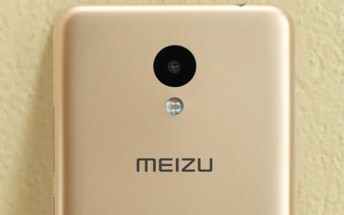 Meizu M6S is expected to be an update of the Meizu M6 and Meizu M6 Note, but we might have to wait until January or February to see if it will have a fingerprint scanner on the side as previously leaked images suggested. The Meizu 15 Plus is another phone, bound to appear in early 2018. First images of the anniversary phone revealed no bezels from three sides and its starting price of CNY2,999/$450. Chinese sources claim that Meizu will ditch MediaTek processors for Snapdragon and one of the six new phones might even have a Samsung Exynos chipset.